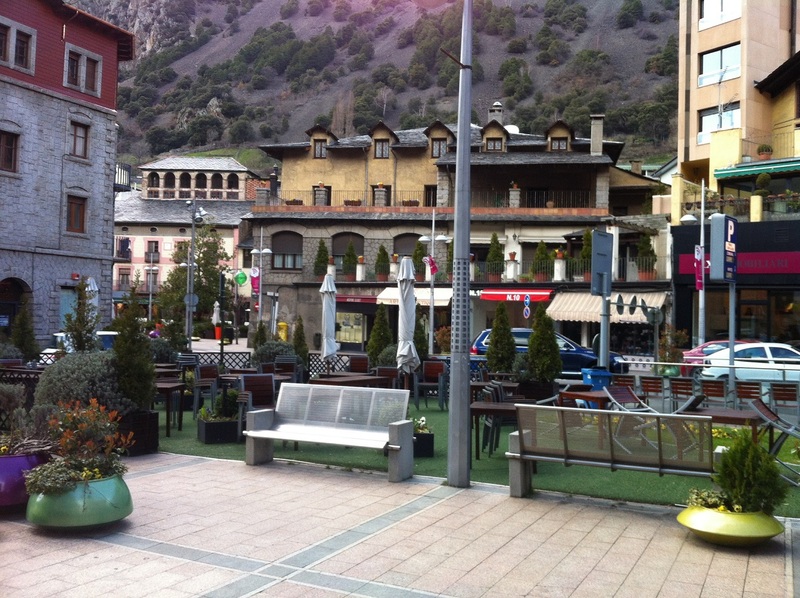 BBC Big Band conductor Jay Craig reflects on the BBC Big Band’s recent trip to the mountain hideaway of Andorra….. 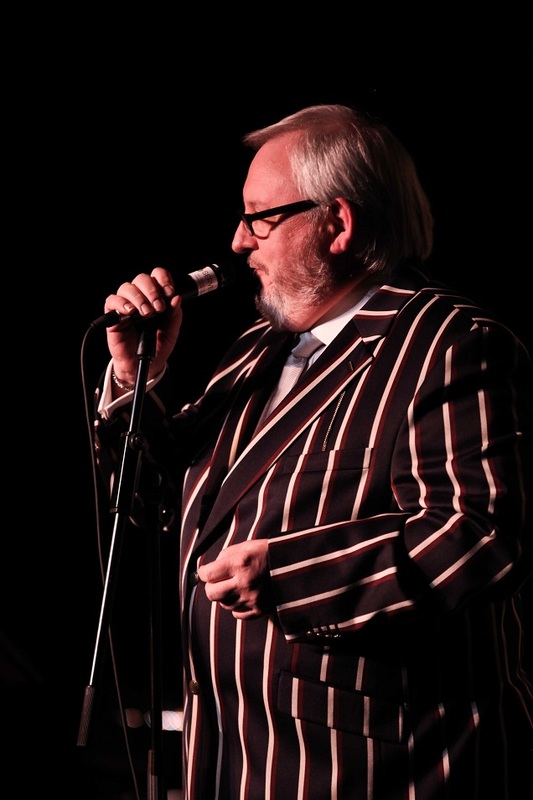 There is a grand but sadly disappearing tradition in the British music business which still continues to this day: the “Hit and Run” raid on the European mainland by bands of cut-throat musical desperadoes who perform late-night gigs for various bewildered locals. Leaving anguish and confusion in their wake, a swift extraction for the band – usually under the cover of darkness – is often called for. This is always a gruelling experience and sometimes the wounded just have to be left where they fall to make their own sorry way home! 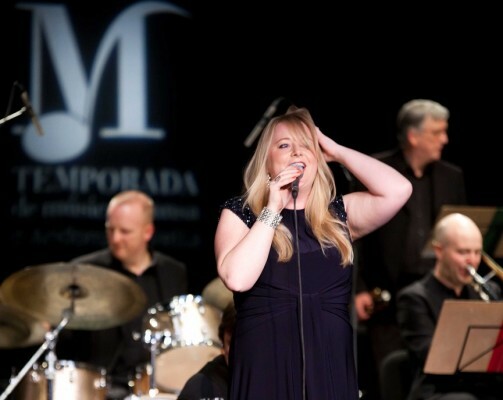 The BBC Big Band used to be experts in this field of activity a few years ago paying regular flying visits to the continent to work with people such as Manhattan Transfer, Patti Austin and Lalo Schifrin. The Burghausen Jazz Festival in Bavaria was a regular gig and the band always ended up in a rather bizarre hotel for pilgrims complete with its own chapel in the basement through which – rather splendidly – was the only route for various titubant musicians to regain entry to the hotel after sampling the local beers! The guest rooms were exotically themed; one had palm trees and parrots painted on the wall and I think another may have been a captain’s cabin! All this complimentary sensory stimulation plus the owner wandering between tables at breakfast playing his cornet and encouraging the sullen multitude of jazz musicians to jubilate and join in with the hymns! That’s just what you need with a hangover and the prospect of a long and tortuous journey back to London – unforgettable. All of this made the prospect of the band’s latest foray into Europe in March of this year all the more enticing. This time the destination would be the snow-capped peaks of that millionaire’s playground – the small but perfectly formed principality of Andorra nestling high in the Pyrenees between France and Spain. And so once again we found ourselves checking in at Gatwick at 0500 hrs for the brutally early flight to Barcelona. This is of course the time that many of the band often get to bed so there were quite a few confused and helpless persons roped together for their own safety at the check-in desk! From Barcelona we then ‘enjoyed’ a 3-hour drive to Andorra. What made this hideously early peregrination bearable, however, was the splendid scenery of the Pyrenees through which we were travelling. What could possibly go wrong? We found out when we were half way there as a commotion arose on the bus: our chanteuse for this concert of Duke Ellington’s music, Miss Georgina Jackson, having successfully retrieved her suitcase from the airport carousel, then proceeded (in a truly Olympian display of blondeness) to board the bus without it. Needless to say this caused much mirth among the ever-sympathetic musicians, the general thrust of whose comments was “You’re not in a pop band now, Georgina… you have to carry your own bags here!” – a jealous dig no doubt at her spell on tour with Seal last year. The case was eventually located at the airport and a controlled explosion of frocks was narrowly averted. But the Guardia Civil were still reluctant to release it. Suffice to say that after much gnashing of teeth, beating of breasts and rending of clothing Georgina’s dress did finally arrive by taxi from distant Barcelona in the nick of time for the concert. The concert started as is the norm in these parts at 9.30pm and went without mishap much to the delight of the capacity audience – an amazing achievement, quite frankly, considering the tables groaning with wine, beer, beer, even more wine and all manner of local sweetmeats thoughtfully provided backstage since BEFORE the soundcheck by the glamourous and uber efficient promoter Monica Hamill who, it turned out was originally from, er, Glasgow! But what sort of audience goes out to listen to such Ellingtonian delights as Billy Strayhorn’s Nutcracker on a Thursday night in a millionaire’s tax haven? The answer is pretty much the same as anywhere else – ranging from enthusiastic teenagers to the elderly gentleman who brought along his signed programme from the Duke’s Barcelona concert in 1966 – and they all had a great time. 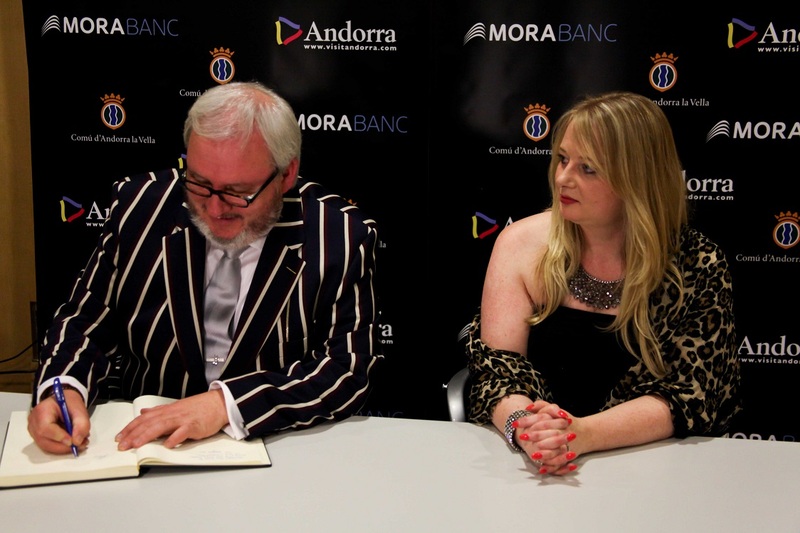 After the concert Georgina and I were whisked off to meet the mayor of La Vella and sign the State Guest Book. 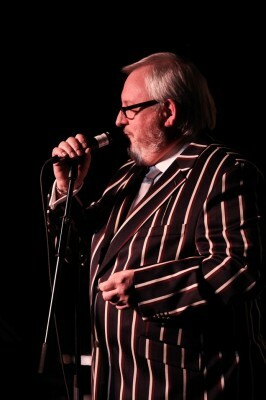 To general amusement the mayor was most anxious to find out from where I had bought my jacket! Jay Craig – suit you sir! After a mere 20 hours on the go we had about 4 available for rest back at the hotel before it was time to board the bus again before dawn. Astonishingly (for once) no-one slept in – probably because quite a few of the band thought there was no point going to bed. 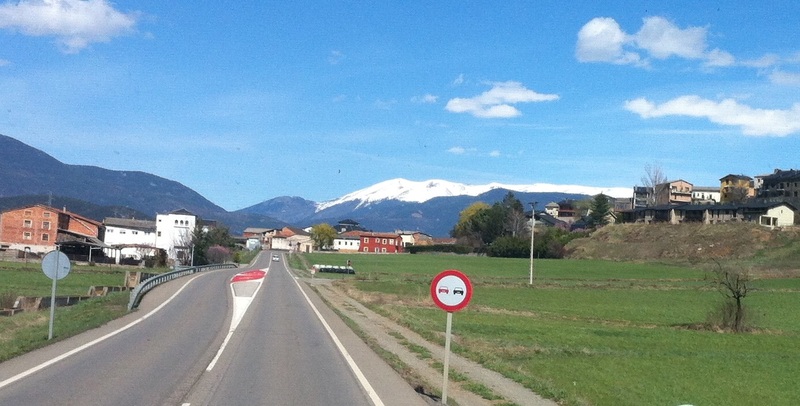 And so, their work done and in a frightful state, but with Duty Free swag safely stashed, the band headed homewards from the mountain hideaway of Andorra ….helpless to resist the siren call of the M25 on a Friday afternoon – AAAARGH! © Copyright 2014 The BBC Big Band.